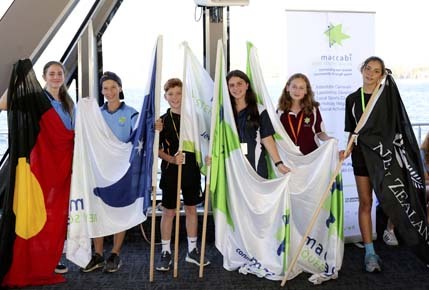 The 37th Maccabi Junior Carnival was launched yesterday with a cruise around Sydney harbour giving the participants a chance to get to know each other. 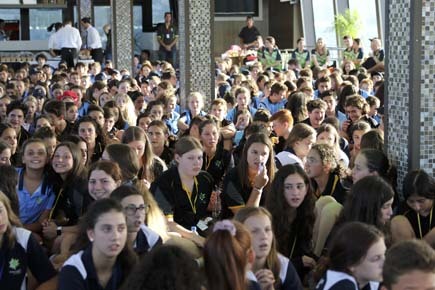 Junior Carnival is a week-long sporting event incorporating exciting social activities for teenagers aged 12-16, from across Australia and New Zealand and continues to be an integral part of the Jewish sporting calendar. 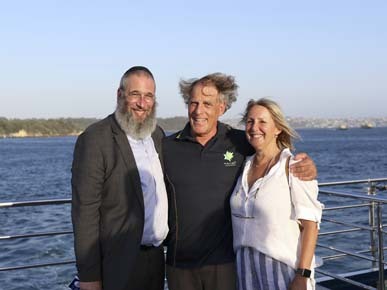 The athletes were welcomed by MC Brad Rosen, Bronwyn Elbourne co carnival manager, and Lauren Ehrlich Board President of Maccabi NSW, the Australian and Israeli national anthems were sung with great enthusiasm, and Rabbi Mendel Kastel ended the speeches with a blessing. 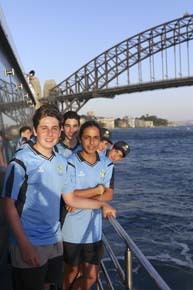 360 kids from NSW, VIC, and WA were in attendance as well as three from New Zealand, and nine from Queensland. 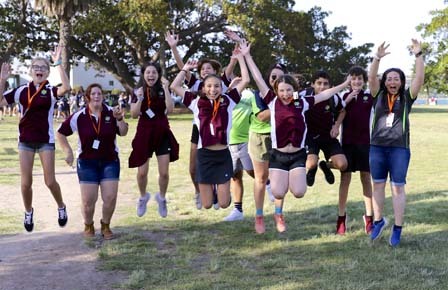 There are also 40 youth leaders (muddies) who look after the kids along with team leaders and carnival organisers who are all volunteers, as the Junior Carnival will be held in Sydney from the 15th to the 22nd of January 2019. 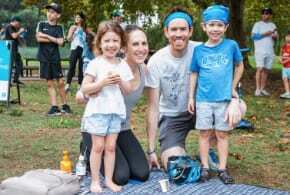 Kids from other states are billeted with local Jewish families for the duration of the Carnival, often with same-aged athletes also participating in Carnival. This is where life-long friendships are formed. 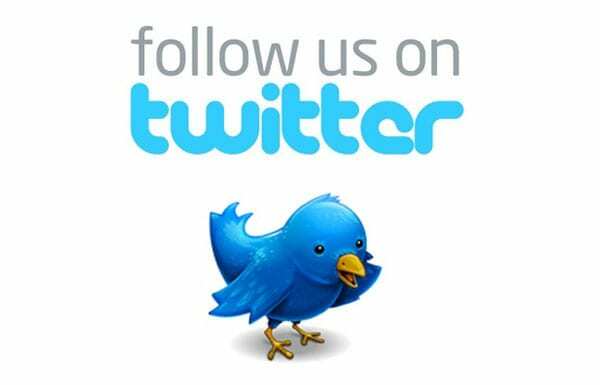 They will enjoy a packed schedule of social activities as well as netball, soccer, basketball, futsal, tennis, & biathlon (swim & run) throughout the week. 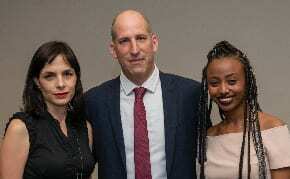 “The whole idea of Maccabi is to make it inclusive for kids to take part in sporting activities. 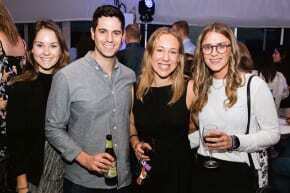 They can make friends and be part of it”. 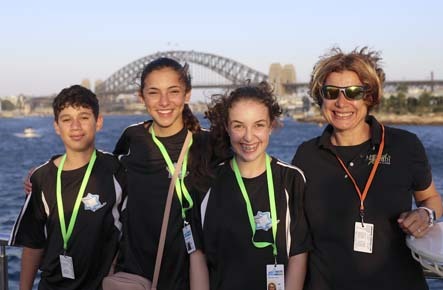 Daliah Szwarc, Program Manager – All Abilities Maccabi NSW who looks after kids with disabilities at the carnival, along with a youth leader (muddie) who is a buddy for each kid who may need their support and guidance throughout the week. 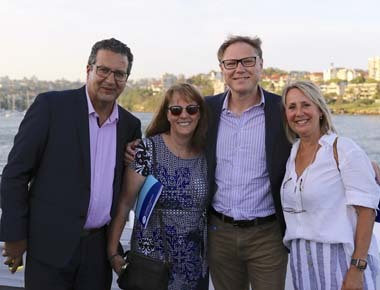 “Carnival is all about engaging Jewish kids and this setting of the opening night on a cruise around the harbour is an amazing way to show off this city. Sport is a great leveller. 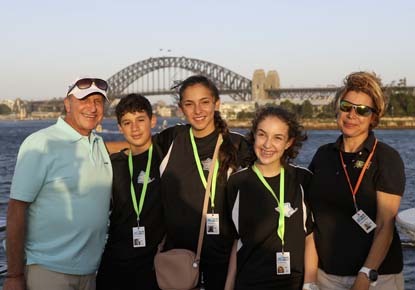 I am passionate about being totally inclusive and we will find a way for kids to unite and connect.” Lauren Ehrlich President of Maccabi Australia. Each year the Junior Carnival is held in a different city, rotating between Melbourne, Sydney, Perth, and more recently Queensland, and Auckland. The sports component of the Carnival allows athletes to enjoy physical outdoor activities, competitive sports, and social program in a competitive and fun environment. 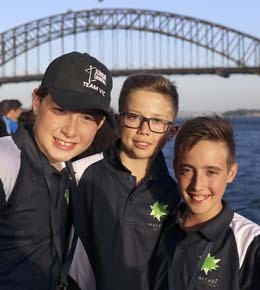 They also get to experience new cities around Australia and New Zealand, whilst keeping the tradition of Maccabi Junior Carnivals alive. The carnival encourages engaging in sport and physical activity which is a crucial component of a healthy mind as well as a healthy body. 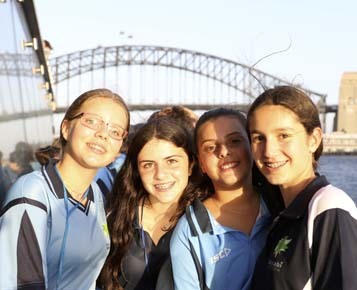 “Junior Carnival is such an important part of the Maccabi calendar and has become a rite of passage for young Jewish kids growing up in Australia. 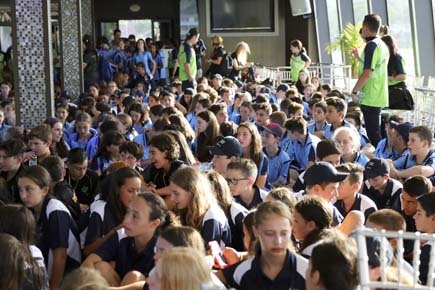 We’re so excited to host over 350 Jewish youth from around Australia for what will be an awesome week of sports, fun & making lots of new friends!”: said Daniel Kresner General Manager Maccabi NSW.